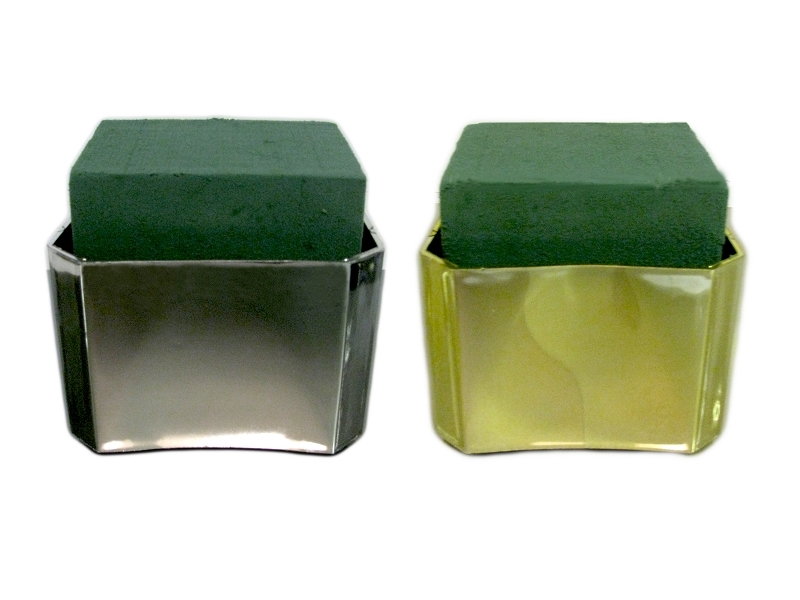 (1) Genuine Oasis Floral Foam 4-inch Cube paired with the elegent Vacuum Orna-Metal gold or silver-plated plastic Box Planter. Use a Centerpiece Arrangement Kit to decorate for holidays, weddings, party work and more! Allow the (1) Floral Foam 4-inch Cube to soak in water for two minutes, set it in the plastic box planter, and you are ready to arrange.